Shenzhen Berny Industrial Co. Ltd.
Berny has been specializing in manufacturing and technology developing since 1995. We have professional manufacture facilities based its BERNY Building. Entry luxury and fashion wrist watches branded in BERNY are its key products. besides, Berny also offers OEM/ODM service for customers all over the world. 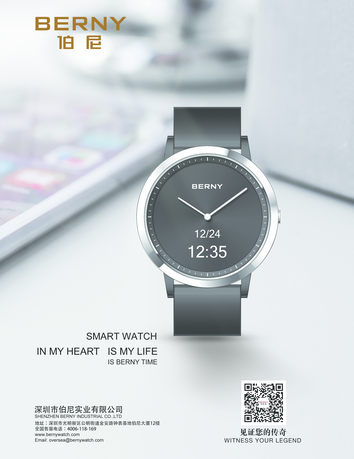 Moreover, Berny has a sub-company, focusing on developing smart wearable products and the integration and application of IoT systems. stainless steel case with see-through case back, skeleton movement, 5ATM. leather strap.